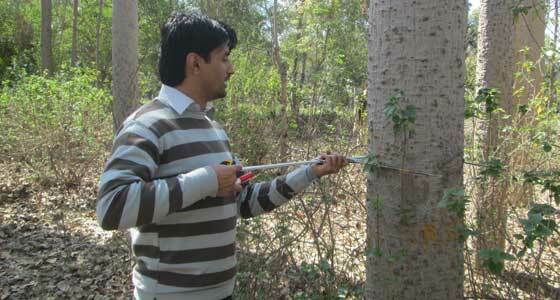 The study of forest above-ground biomass (AGB) for estimating the carbon stock in each tree is important, as it is well established that the emission of carbon is the largest factor affecting today’s climate. 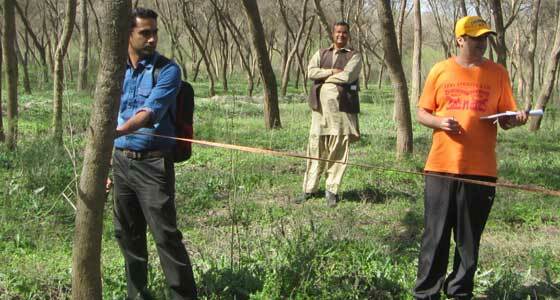 The research undertaken by the Institute of Space Technology in Pakistan and supported by ICIMOD under its SERVIR-Himalaya Small Grants Programme has developed methods for forest AGB measurement using remote sensing in Pakistan and the surrounding regions. AGB is traditionally measured by destructive sampling, which is labour-intensive and damages the forest. Satellite remote sensing is a great alternative for AGB assessment. Optical satellite images are restricted in their ability to assess the AGB of trees, which is mostly contained in the woody part, as they are unable to penetrate the forest canopy or cloud cover. Signals from the space-borne SAR (Synthetic Aperture Radar), with its nearly all-weather and day-night functionality, can penetrate the canopy and obtain signal returns from tree stems and branches to give better estimates of forest AGB. However, the extraction of biophysical information from SAR datasets is not a simple task. AGB is traditionally measured by destructive sampling, which is labour-intensive and damages the forest. Satellite remote sensing is a great alternative for AGB assessment. 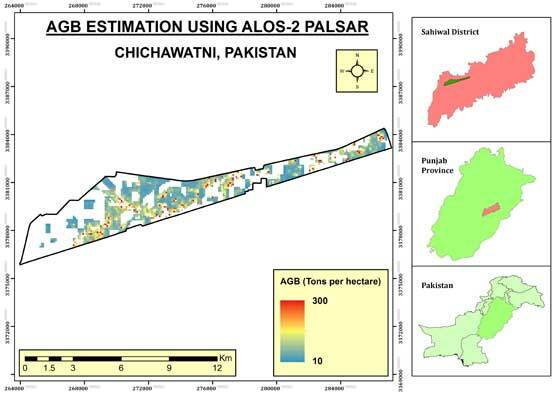 The Institute of Space Technology in Pakistan developed methodologies for forest AGB estimation in the Hindu Kush Himalayan region using optical high-resolution (WorldView, GeoEye) and SAR (ALOS-1/2 PALSAR) remote-sensing data coupled with field measurements (tree height, stem diameter at breast height) and allometric equations. Methodologies developed provide a new way of assessing forest AGB resources in the study sites, with the possibility of repeating measurements under all weather conditions. The study was carried out in the Khayar Khola watershed, Chitwan district, Nepal, and Chichawatni Irrigated Plantation, Sahiwal district, Pakistan.